Saint Thomas calls Central Phoenix home and we hope to see you soon! 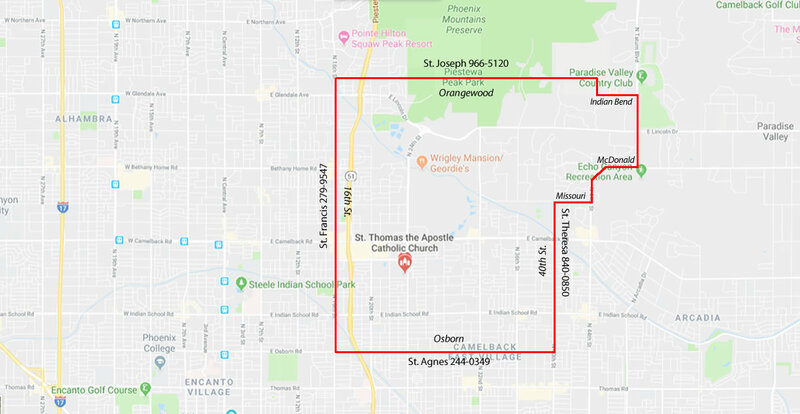 Saint Thomas the Apostle in located in Central Phoenix in the Camelback Corridor area. Just south of Camelback Road on the Corner of 24th Street you will find our bell tower welcoming you to join us. Whether you have made your home here, staying for the winter, or just passing through, we are happy you are here and look forward to seeing you for Mass.